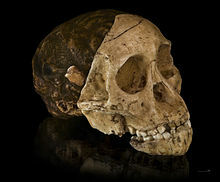 ^ Apologetics Press - Human Evolution and the “Record of the Rocks” Archived 2008年1月26日, at the Wayback Machine. ^ The Independent's article A pregnant woman's spine is her flexible friend, by Steve Connor from The Independent (Published: 13 December 2007) quoting Shapiro, Liza Archived 2008年1月25日, at the Wayback Machine., University of Texas at Austin Dept. of Anthropology about her article, Whitcome, et al., Nature advance online publication, doi:10.1038/nature06342 (2007).